When is a lip balm no longer girly? Why, when it's hops-based of course and packaged like this. 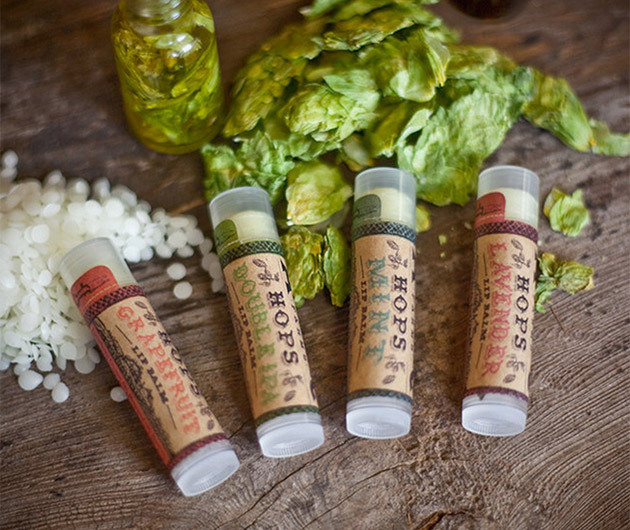 The Atlantic Farms Hops Lip Balm range is avaialable in a host of flavors such as mint, grapefruit and, questionably, lavender, all enriched with cocnut and olive oils and a dose of vitamin E. We all get chapped lips, it's nothing to be ashamed of. Just don't pout as you apply.